An investor is a person that allocates capital with the expectation of a future financial return. Types of investments include: equity, debt securities, real estate, currency, commodity, token, derivatives such as put and call options, futures, forwards, etc. This definition makes no distinction between those in the primary and secondary markets. That is, someone who provides a business with capital and someone who buys a stock are both investors. An investor who owns a stock is a shareholder. When you become a Crypto investor it’s kind of challenge. What if we have solution for face those challenges without any fear, without any risk. We all know that a thing that we always wanted. So here we comeup with the solution Dropil. Now let’s dive into the solution Dropil. The coin created and offered by Dropil will be the DROP token, and will be an ERC20 protocol standard coin. ERC20 was chosen to ensure the upmost compatibility to form, and quickly execute partnerships with both exchanges, and other companies down the road as this project continues to seek out ways to offer value added features to its users and the community as a whole. It has been designed with 18 decimal places to comply with the encouraged but not compulsory standard for ERC20 tokens. 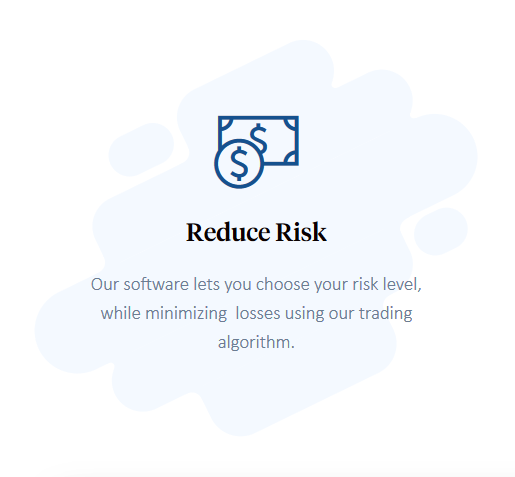 The DROP token creation will be hard capped at 30 billion coins, this amount of coins reflects strategic calculations to support first and foremost the ideal scale of the trading platform where it performs optimally in respect to volume of managed assets. The amount of tokens also included calculations to achieve the dispersal to what we consider an ideal sized user base, allowing for the coins to be traded at exchanges and kept in circulation with an initial value that would promote wide spread and adoption of the token. 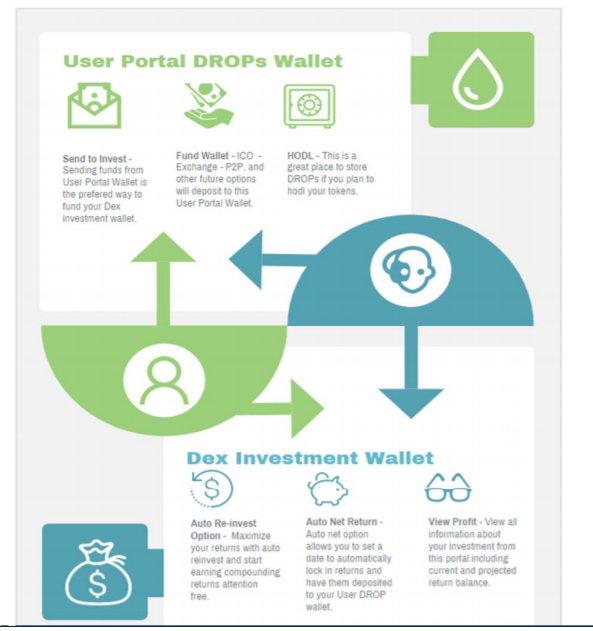 The low cost of entry along with the necessity of the coin to participate in the features of Dropil and Dex is intended to first drive large user base implementation while also maintaining initial and expanding demand for the token. Once the user portal is setup and the user has logged in, there will be a unique “User DROP Wallet” displayed. This wallet is personal and designed solely for the function of sending and storing DROP tokens within the Dropil user portal. In addition, it can also accept deposits of DROP from any wallet or exchange and can likewise send back to either. There is never a hold on any principal deposits within Dropil and as such, may be withdrawn or deposited at any point without penalty. 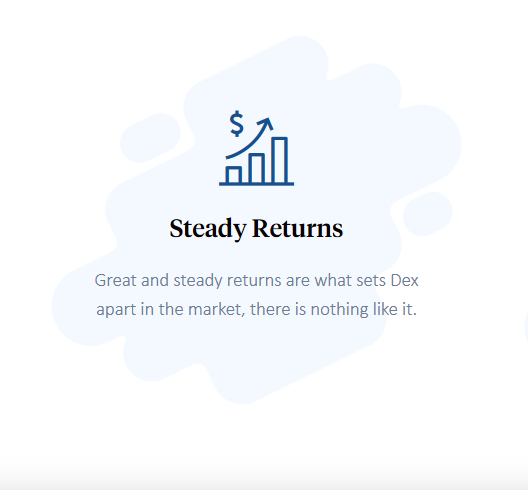 Any amount of DROPs placed into the Dex Investment Wallet, and thus by default invested by Dex will generate returns. In order to withdraw or reinvest these returns, the principal that was used to create them must stay invested for a minimum of 15 days. This however, applies only to generated returns, the principal never has a hold on it and may be withdrawn at any time. 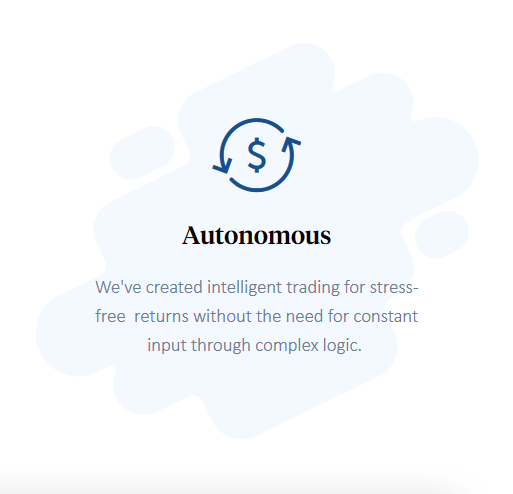 In addition, all returns are paid to the user in DROP tokens, which serves a number of purposes which includes clear advantages for the user.